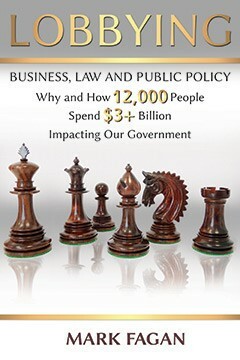 The goal of this book, “Lobbying, Business, Law and Public Policy” is to take the mystery and hyperbole out of lobbying and explain the business, law and public policy aspects of the field; one that is not going away. 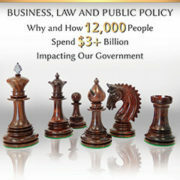 By the last page you will understand and appreciate (1) the history of lobbying from King Solomon to the present day; (2) the business of lobbying; (3) the laws, regulations and ethics that accompany lobbying; (4) the art and science of effective lobbying; and (5) the differences in lobbying worldwide. Mark Fagan is Lecturer in Public Policy at Harvard Kennedy School, Harvard University and a founding partner of the strategy consulting firm Norbridge, Inc. He earned a BA in economics from Bucknell University (1977), and a Masters degree in City and Regional Planning from Harvard University (1979). Click to visit Vandeplas publishing’s website to purchase or read more about Mark Fagan’s book.